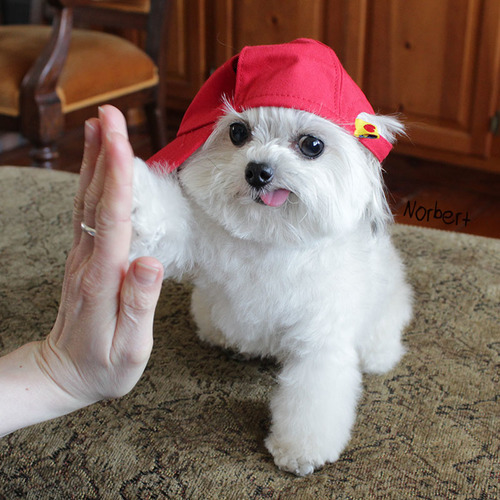 Norbert is a special therapy dog. He’s a very tiny (3-pound) cross-breed who was the only puppy born to his dog mother in California. His owners believe he is a Chihuahua, Cairn Terrier and Lhasa Apso cross. Adopted in 2009 from PetFinder.com, Norbert was his human mother’s first-ever dog and he traveled to Boston to live with her. At the age of one, he passed his therapy dog tests and began working with children and the elderly. Along the way he learned new tricks like High Five, Namaste (stay) and Zen (lie down). Then his mom decided to write a book, and then another, and (soon) another…. Book 1: Norbert – What can little me do? 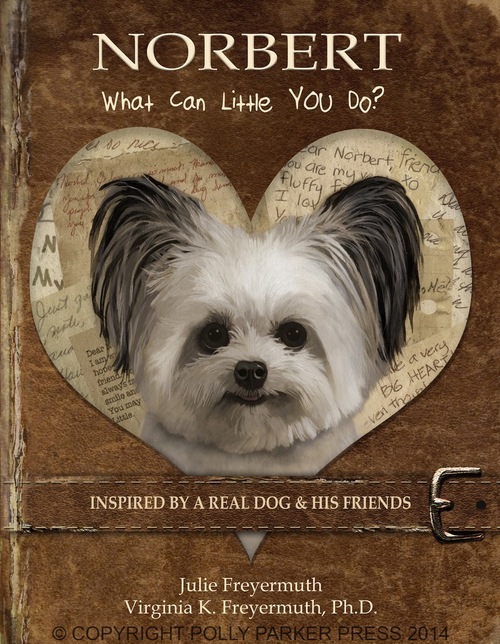 Book 2: Norbert – What can little you do? 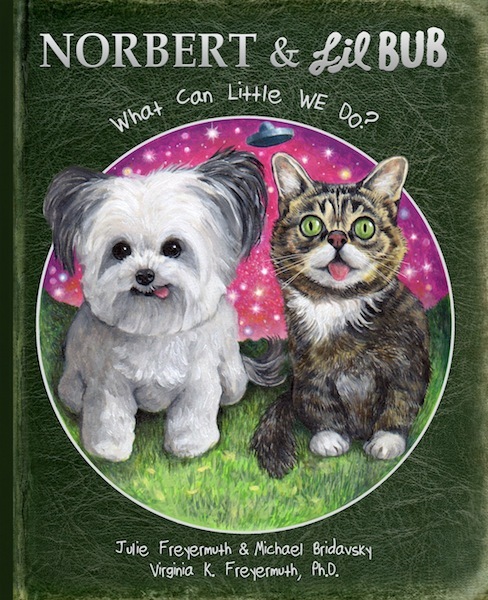 Book 3 (due out in November 2015): Norbert & Lil Bub – What can little we do? Therapy dogs are special dogs providing important emotional support services to those in need. 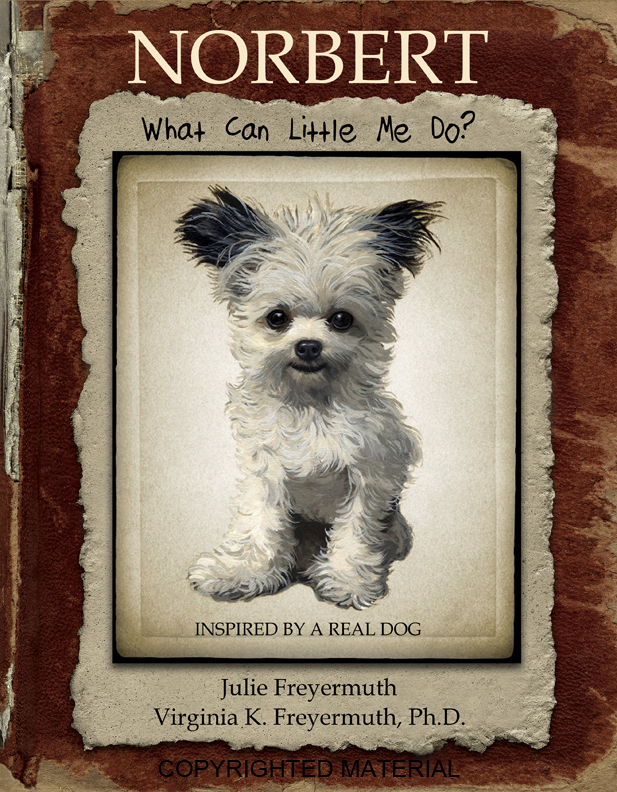 I like the fact that there are children’s books featuring Norbert – if we tell children about dogs and their personalities, and teach them lessons along the way, we set them up to be compassionate adults who are prepared to be responsible pet owners. 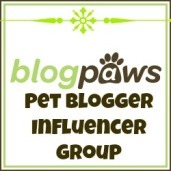 This entry was posted in dog books, Dogs, special dogs and awards and tagged Boston, Cairn Terrier, Chihuahua, Lhasa Apso, Norbert, therapy dog, therapy dogs. Bookmark the permalink.